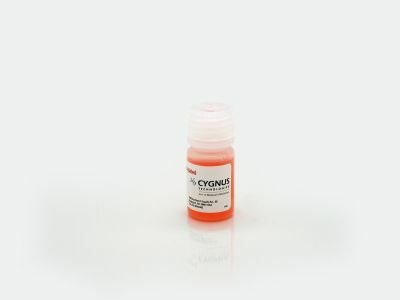 This kit is preferred over the Protein A ELISA Kit (F050). When the product antibody is human or otherwise shows interference in the detection of Protein A, this kit utilizes a sample treatment step involving acid dissociation and heat denaturation to overcome any interference from product immunoglobulin. The LOD is 100 pg/ml.Since this kit has been released, two newer Protein A assays known as Mix-N-Go™ methods have been developed. These new methods eliminate the sample boiling and centrifugation steps. Instead, a special sample treatment reagent is used that allows for accurate detection of Protein A in the presence of your sample antibody. 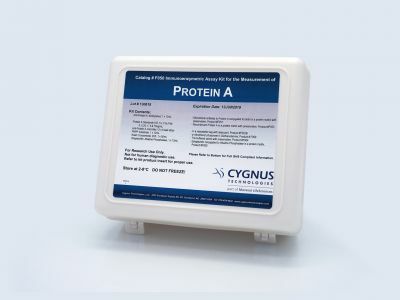 The Protein A Mix-N-Go™ kit (F600) uses standards calibrated against natural and conserved recombinant forms of Protein A. The Protein A Mix-N-Go™ kit (F610) uses standards calibrated to unnatural constructs of Protein A such as GE Healthcare's MabSelect SuRe™.